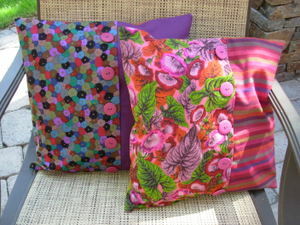 I got these three pillows finished the other day. 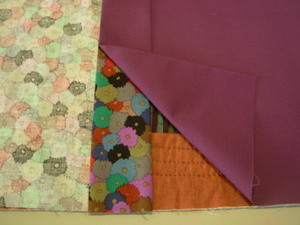 They had been sitting around in various stages of quilting which I finished this week. When I was sewing them up I decided to take some photos to illustrate my technique. There are probably lots of ways to do this, but this is my favorite. 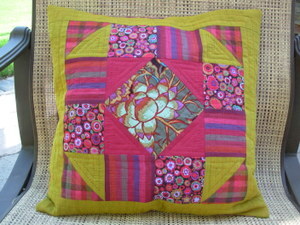 These are 16" pillows and the block pattern is from the book, Fat Quarters are Beautiful. 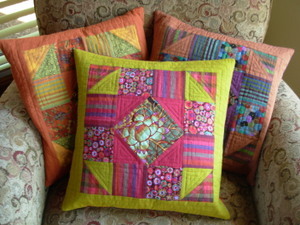 In the book the pillows are not quilted. 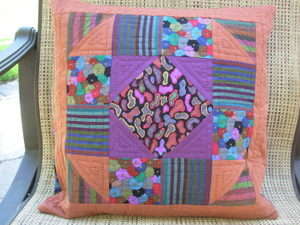 I wanted them quilted and wanted them bigger so I took the 12" block and added borders to make the whole top about 18". I layered it with batting and muslin and quilted free hand. 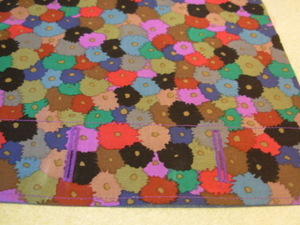 After I did the quilting I trimmed the top down to 17" so I would have a 1/2" seam allowance. 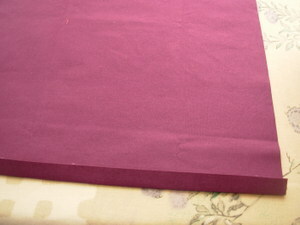 To make the back, cut two pieces of backing fabric to 12" x 17". 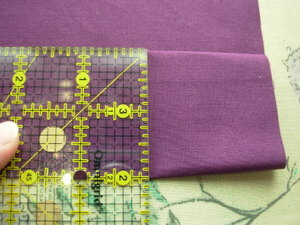 Prepare both pieces of fabric this way: Fold under one 17" edge 1/2". 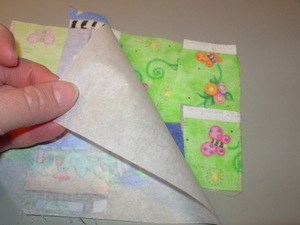 Then fold under again 2". 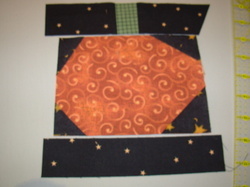 This is the part of the backing that overlaps and has the buttons/buttonholes. 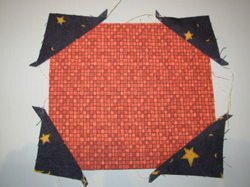 Lay the pillow top down right side up and position the two backing pieces right side down on top to make sure the folded parts overlap properly. 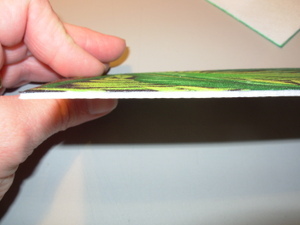 Top stitch close to both edges of the fold on both pieces of backing. Now it's time to mark the places for the button holes. For mine I marked the center, then made marks every 3" out from that on both ends. 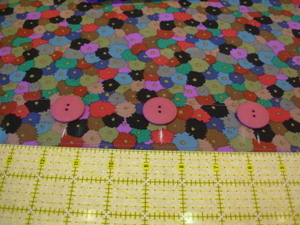 I did 5- 1 1/8" buttons total. My sewing machine has an automatic buttonhole maker which is wonderful. However, it only holds buttons up to 1" I found out after I'd bought the buttons. Luckily, the 1" size worked fine for these slightly larger buttons. 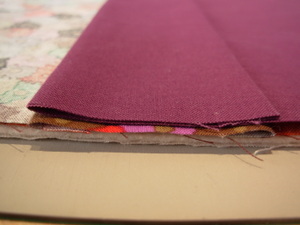 Whether you have an automatic buttonhole maker or not, be sure to test your buttonhole on scrap fabric first. 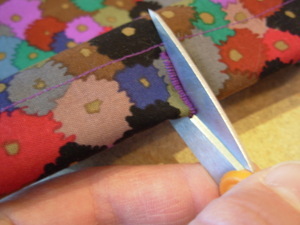 To cut open your buttonholes, fold the fabric like this and make a tiny snip right in the middle of the buttonhole. 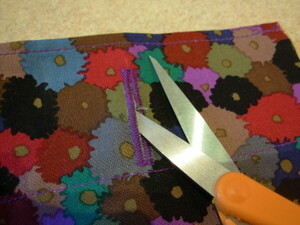 Then, unfold and insert the scissors this way and snip to just before the sewing on each end of the buttonhole. 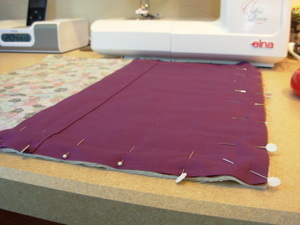 Now, lay the top and backing pieces together just as you did above, making sure to have the backing piece with the buttonholes on the bottom of the overlap, and pin every couple of inches all the way around. Rembember, this is a button back so you will sew all the way around and don't need to leave room for turning. Using a 1/2" seam allowance, sew all the way around, clip the corners, turn and iron it out to be sure you have the edges are neat. Sew on the buttons and you are done! And here are the backs. Tonight I decided to get a move on some ATC's I wanted to make and had so much fun with them that I also did two postcards. 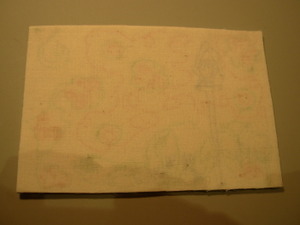 The ATC's (artist trading cards) are for an Imagination Tribe trade where the theme is Anything But Paper. I had been planning on trying these for a while. These are fantastic for using up tiny pieces of fabrics so I got out my copious bags of scraps and got to work. After making the ATC's I thought a tutorial would be in order so I did that with a postcard. 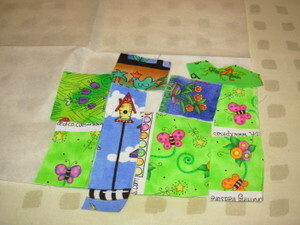 The tutorial follows these photos of the ATC's. The words on these card are cut from selvedge edges of fabric. I have a bag of these that I've been saving for years. I cut interesting words off of every fabric that has them. I think I first got the idea after reading one of Gwen Marston's books. 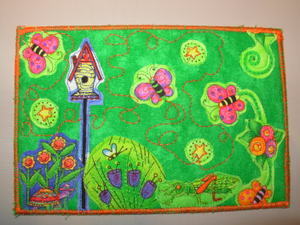 I had great fun trying various stitches on the machine and also tried some free motion quilting as well. 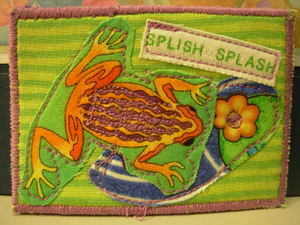 I find that the free motion stitching works a lot better for me when I have something small to stitch. Now for the tutorial. First of all, I'm using Pellon double sided fusible heavy weight interfacing, so these have some heft to them. They are nice and sturdy. 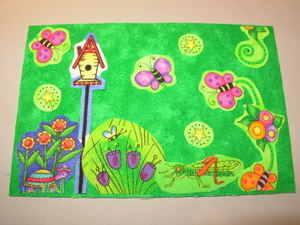 I asked what the ladies at the Stitchin' Post use and they said Fast-2-Fuse works well also. For fusing the bits of fabric I used Wonder Under. Other than that it's just fabric and thread. Here's what the stuff looks before starting. I cut mine to 4" x 6". 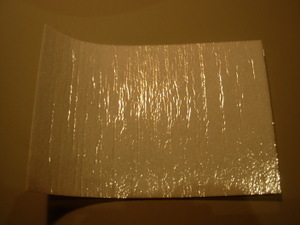 Both sides have fusible web, but only one side has this shiny paper covering it. That's so you can fuse one side and not have the other side stick to your ironing board. 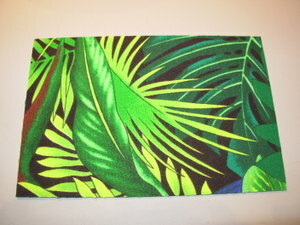 Then I chose a background fabric cut slightly larger than the card and fused it to the un-papered side. 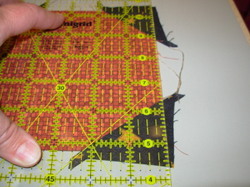 I cut it to the edges of the interfacing after fusing. I just realized that I have mixed photos of the two different cards I did. This is actually the background for the second one, so the rest of these photos will show the first card. 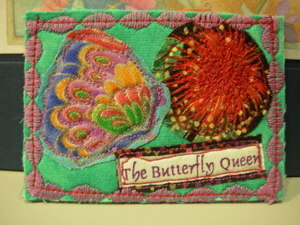 Next I found some bits of fabric to decorate the front of the card. I cut them roughly into squared off pieces so it would be easier to fuse them. Then I covered it with a bit of scrap paper to keep the web from melting to my iron and I ironed them for about 10 seconds. I cut the section off with my "paper" scissors. You have the paper backing on there so don't use your good fabric scissors. 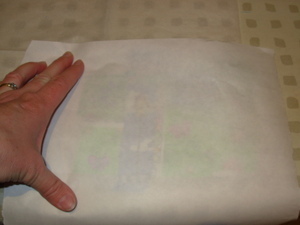 Flip the whole thing over and give it another press with your iron on the paper side of the fusible web to make sure it's well fused. 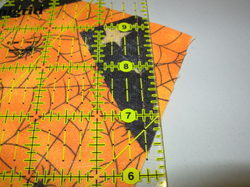 Then I peeled off the paper backing and cut the pieces using my fabric scissors. 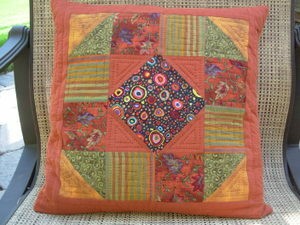 I like to cut the motifs with a bit of edging on them, but you can cut all the way to the edges if you like. 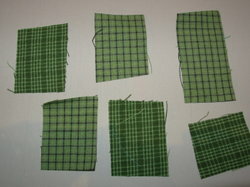 Here they are arranged on the background that has been fused to the interfacing. Now, fuse the whole thing again. 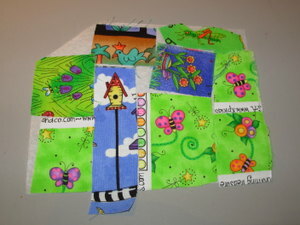 Then, take off the plastic backing as you get ready to sew it all together. I discovered that the plastic could be a little hard to get off. I might give the Fast-2-Fuse a try for this reason. 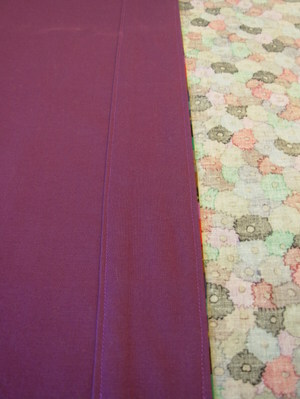 Now, I picked out a fabric for the back of the postcard. I discovered that the threads on the back showed through so I did a double backing on them. First I fused a piece of muslin to the back. Remember, you've already removed the plastic backing so it's ready to fuse. 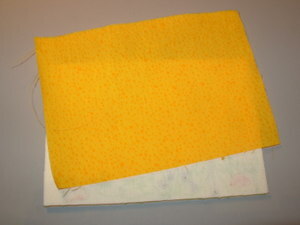 The fabric was cut a little big, then after fusing trimmed to the exact size of the card. 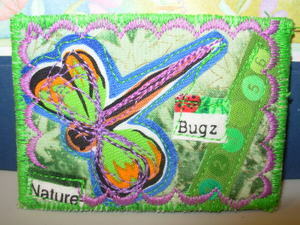 Lastly, from the front of the card I went around the edges with a zigzag stitch. Here's the second card before putting the backing on. I need to get some more Wonder Under, so I couldn't finish it tonight. These two cards will be sent to the Sisters Outdoor Quilt Show for a postcard exhibition called Wish Upon A Card. 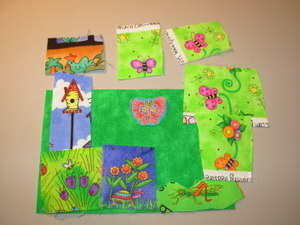 They are collecting fabric postcards to be sold at the quilt show. One hundred percent of the proceeds will go to breast cancer support groups around Central Oregon. This is a very worthy cause so if you are so inclined to create a postcard or two think about sending one of yours in! 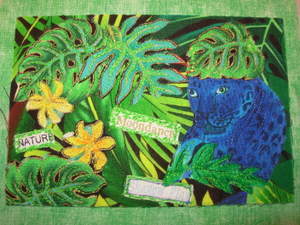 The cards will be on display the week before the quilt show and they are having a Viewer's Choice contest. Click the Wish Upon A Card link to get the mailing information. 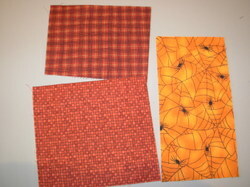 I'm still working on "parts" for my Halloween quilt. I felt that I really needed some liberated pumpkins and while I was starting I thought maybe a tutorial was in order. 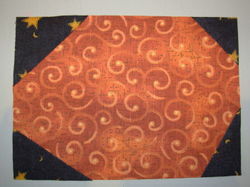 Here's the first Knit One Quilt Too tutorial! First, I cut some random sized square and rectangular shapes in about the size I wanted for the pumpkins. These are not truly square. I used my ruler to cut these, but only for the straight cuts, I didn't measure anything. 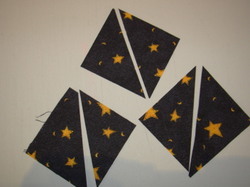 Next, I cut some square shapes for the corners and cut them in half diagonally. Again, I didn't measure anything, just cut whatever looked good. 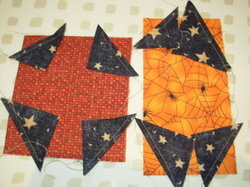 Then I placed a triangle on each corner of the pumpkin pieces, right sides together, making sure to overlap the black corners so that after sewing the black would reach all the way over the corner of the orange. 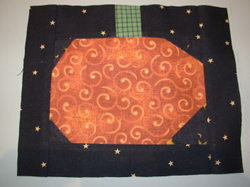 Now, without even pinning, I sewed the corner with my 1/4 inch quilter's foot. 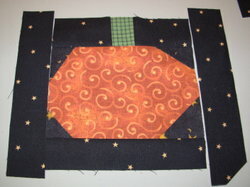 Then, iron the black corners back and make sure they go past the edges of the orange. Trim the orange bits behind the new black corners so you don't have a double thickness. Trim the corners even with the rest of the pumpkin. 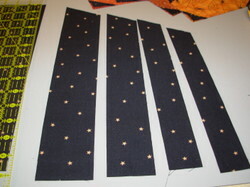 Cut several long, black strips of varying width and not necessarily straight. Cut green stem rectangles the same way. Cut the black strips somewhere in the middle and add in the green stems. You can cut them to make sure the stem will be over the pumpkin properly, or not, it's your pumpkin! 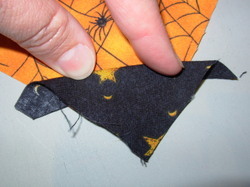 Sew the stem piece to the top and an extra black strip to the bottom, then add sides. My pumpkins are obviously not the same size, so I will be putting them together with more strips of black in whatever way fits and strikes my fancy. Also, I noticed afterwards that the stems are mostly the same length, so when I add the black I'll probably cut the stems down to various sizes. I hope you enjoyed this tutorial. I'd love to hear if anyone tries this method or uses this technique to make other designs. 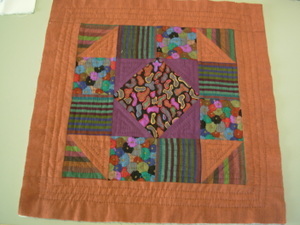 Remember to check out Gwen Marston and Freddy Moran's Collaborative Quilting for more ideas. 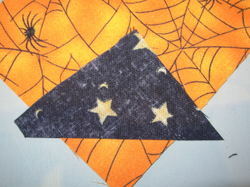 I haven't decided yet if I'll make some of the pumpkins into Jack-o-Lanterns, but if I do, I'll applique the faces. 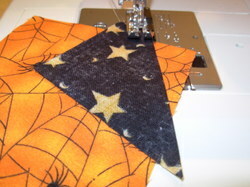 Next up, I've got a nice witch fabric that is begging for a house to live in. I think she needs something more like a mansion so I'm going to make a much larger liberated house for her. After that I think all the parts will be done except for some filler pieces. I'll see how much I can do before the trip next week. More on that later!